I am sitting in my hotel room this morning with all my kids still asleep enjoying a little peace and quiet; and realizing I have found the secret of getting my kids to sleep in. It just takes walking them all over Washington D.C. looking at every museum, monument, and memorial there is to see. For anyone that knows my family, they know that my kids are early risers and I am NOT. It is not outlandish for my kids to be up and ready to go before 6 am. It is currently 8:30 here on the east coast and my hotel room is silent. I could really get used to this. We have had a great first week here in Virginia/Washington D.C. It is incredible at how much history there is to experience here. I love giving my children a first hand experience of it all before they have even learned about it all in school. 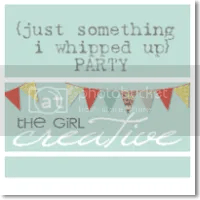 But enough of my sentimental feelings and on to today’s recipe. This is a delicious choice and a family favorite. My 6-year-old is starting to really take an interest in my activities and so therefore that includes cooking. This is a simple one to let her help. I let her use the stool and stand at the stove stirring the veggies while they are cooking. Of course, when the oil goes in to the skillet to fry the wontons, I have to take over. But because she feels we are equally dividing the tasks, she lets me take over no problem. 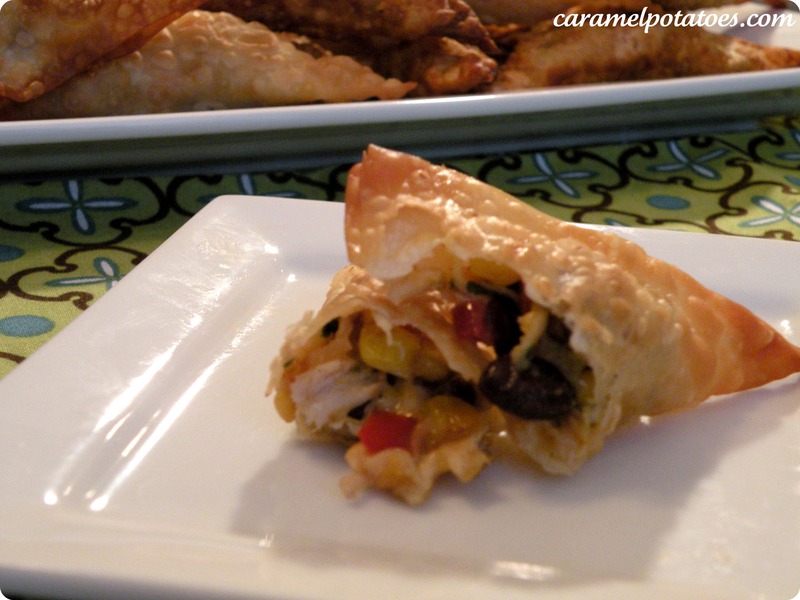 These are great as an appetizer for a social gathering or for a simple dinner. My kids love anything that they can pick up to eat, so we will eat these for dinner. Also, they are great because you can make them to your liking. My kids don’t even know there are onions in them, because I dice my onion so small. They really like the sweetness of the corn, so I usually add a little more than the recipe calls for. And don’t be afraid to use whatever chicken you have in your freezer or fridge. 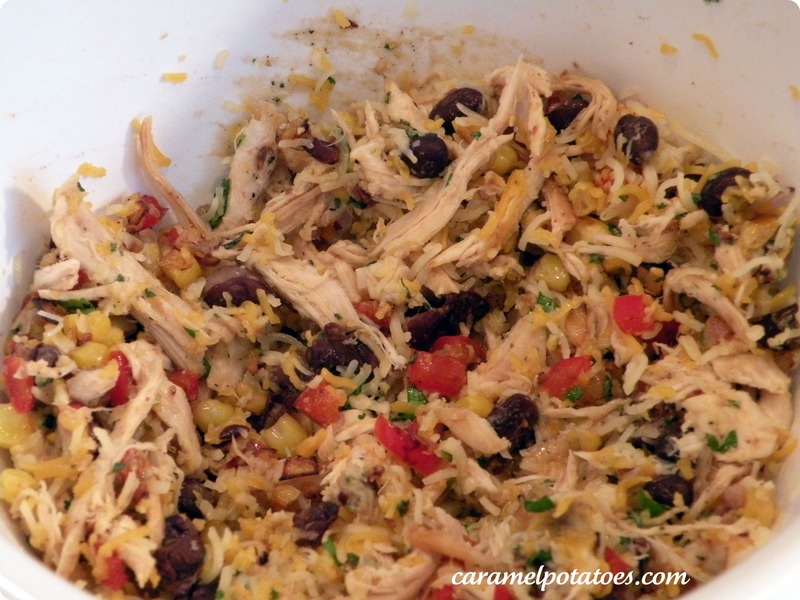 I like to use leftover rotisserie chicken, but any chicken that is cooked and shredded will work. There are enough flavors in the wontons that you don’t even have to have chicken that is seasoned in any particular way. Heat olive oil in a large skillet over medium heat. Add onions and salt and saute for 5 minutes, or until they are translucent. Add red peppers and cook for an additional 5 minutes. Stir in garlic and cook for just another minute. 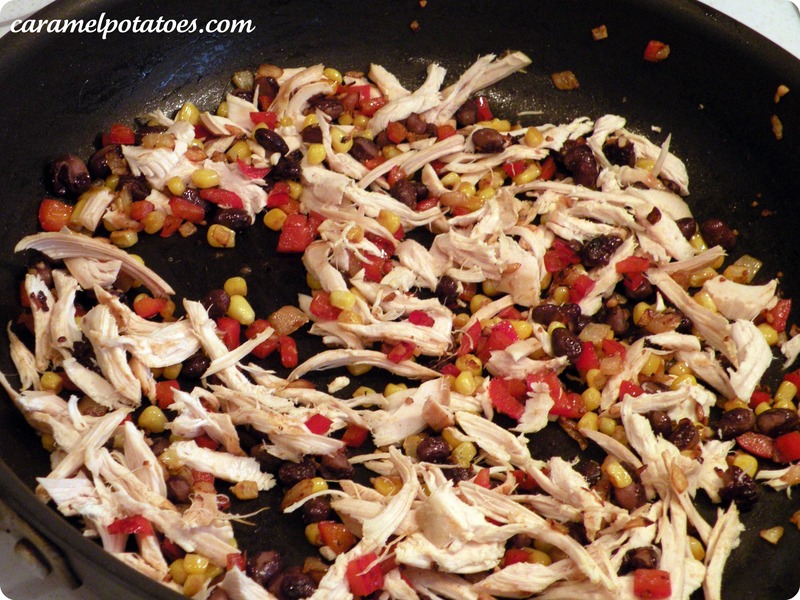 mix in the corn, beans, and chicken just until heated. Pour oil into your large skillet until it is at least 1/2 inch deep and begin heating over med-high heat. It is easiest to work in batches of about 6 (or however many will fit into your skillet) at a time. 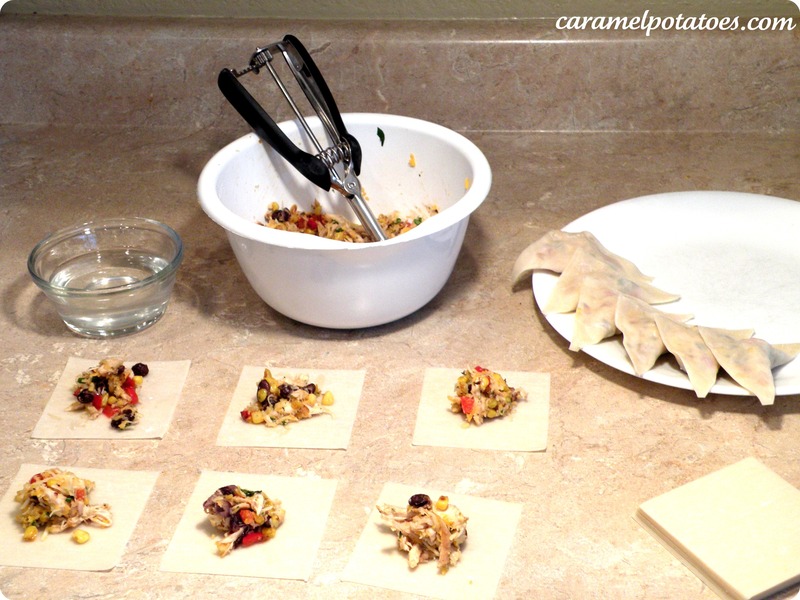 Lay out wonton wrappers and scoop about 1 teaspoon of chicken mixture into the center or each. Rub some water on two adjoining sides of the wrapper, then fold over to firmly seal, forming a triangle, and gently press out any extra air pockets. When the oil is hot, place 6 wontons at a time. Cook about 1-2 minutes per side until golden and crispy. Remove from skillet and place on a plate lined with paper towels to absorb excess oil. 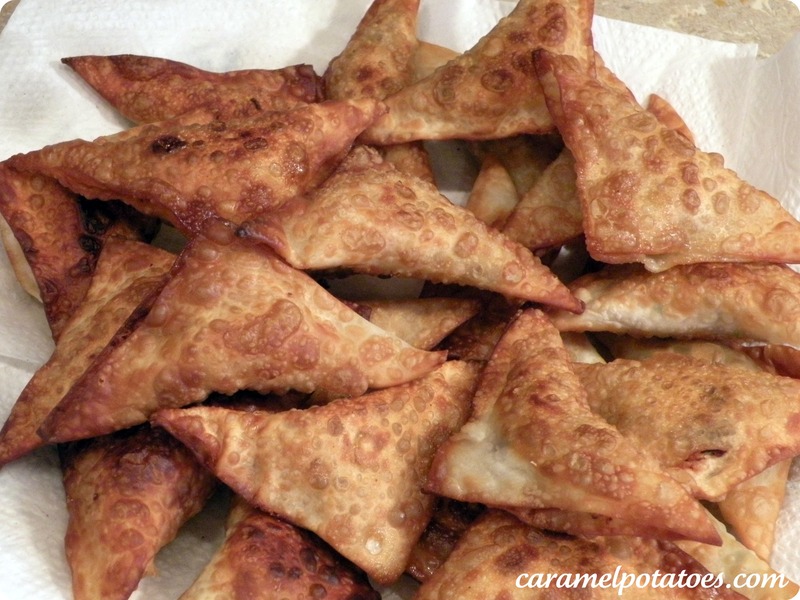 **This recipe makes 24 delicious wontons.